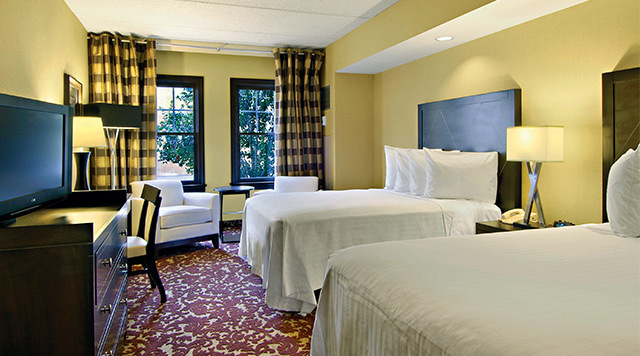 Sam’s Town has a variety of rooms and suites to suit your every need. Our deluxe and premium rooms provide comfort both during the day and night, while our elegant suites treat guests to stylish décor with full amenities. Handicapped-accessible rooms are also available, featuring hi/low peepholes, wider doorway access, doorbell, swing down closet bar, assistance bars in bathroom, bars in tub/shower or roll-in shower with grab bars, plus the beds are placed lower to the floor and the room is located near the elevators for your convenience. 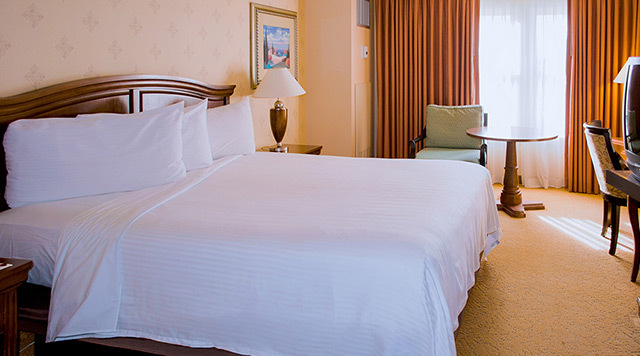 Sweet sleep is in your future if you choose one of our king rooms at Sam’s Town. 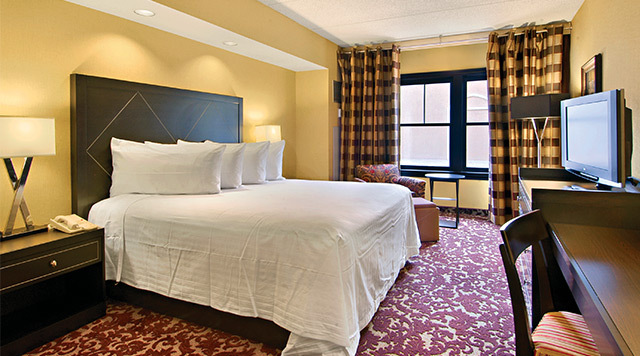 You’ll be extra comfortable in our spacious rooms with a pair of double beds. 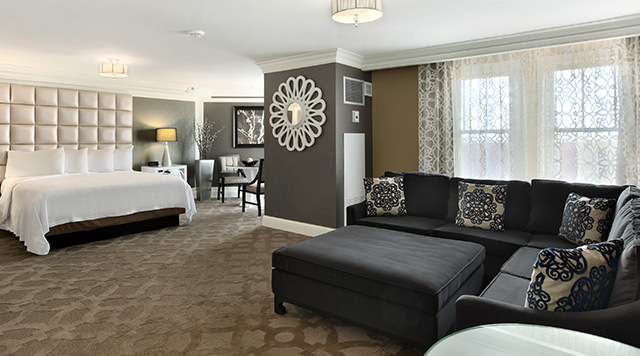 Guests will have plenty of dreaming space in our huge king-size beds. 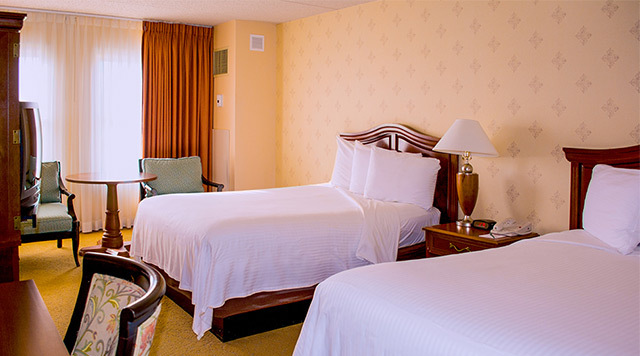 Think comfort, and you'll think of our premium double rooms at Sam's Town. If you want all the comforts of home in a comfortable and spacious environment, then a mini suite at Sam’s Town is perfect for you. A nice surprise awaits you when you choose one of our standard suites at Sam’s Town. 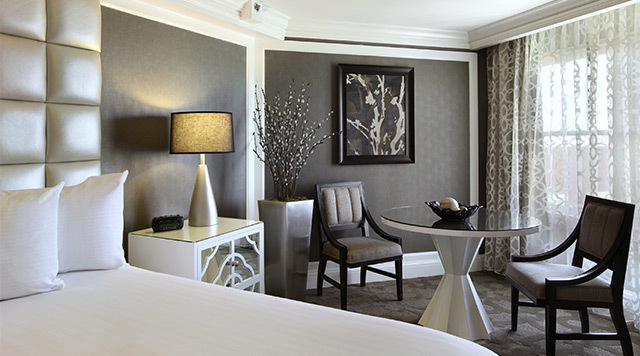 The best of the best can be found in a Sam’s Town signature suite, featuring spacious rooms complete with special appointments.